To me, its the bad behavior of showing you notifications for *every* tiny detail. What does this icon do with your mind? You get a little curious, a little stressed, you click on it, and in 95% of cases you think “Why does Facebook think that is important to me?”. I have tried all the options to get rid of these notifications, for events, pages, people, groups. But somehow Facebook always finds another way to show some of them. Even if you get close to having no notifications, as soon as you add people, like a new page, join a new group, click interested on an event, the bell icon is in full swing again. Have you stayed away from the platform for 24 hours? 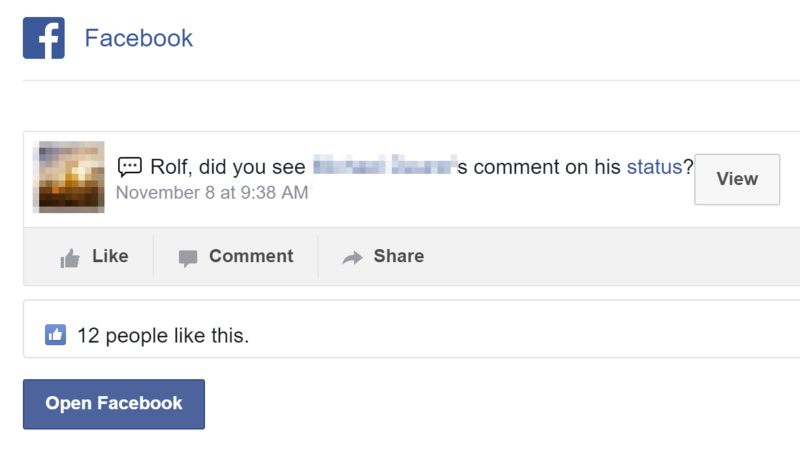 Facebook starts sending you emails. 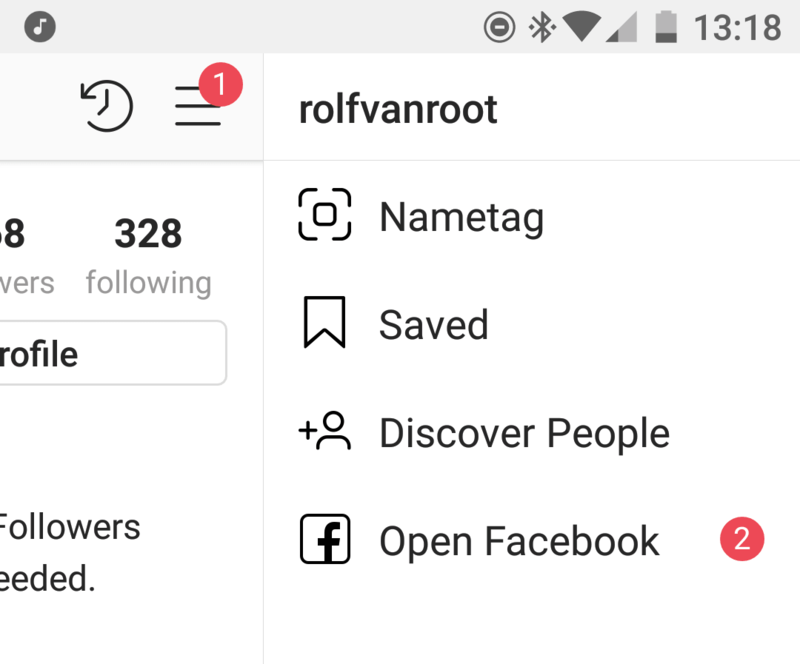 You open Instagram, the red icon follows you – “OPEN FACEBOOK”. My conclusion is that Facebook is not interested in improving the user experience, and focuses on optimizing for advertisers (more eyeballs, all the time). Send me a summary email daily or weekly with highlights – and let me configure what I want in this email. Facebook, take 5 developers from your newsfeed team and let them prototype these features, it won’t take 3 months to realize this. Maybe you see a bump in usage statistics for a short-term, but on the long run your users will appreciate these features, feel less annoyed and stressed when logging in on your platform. Otherwise, you could end up with more advertisers on the platform then users. At the moment, it seems, Facebook is optimizing from the other end. I would prefer to have a chance to configure Facebook to get most out of the time spent there, instead of seeing how much time I spent.